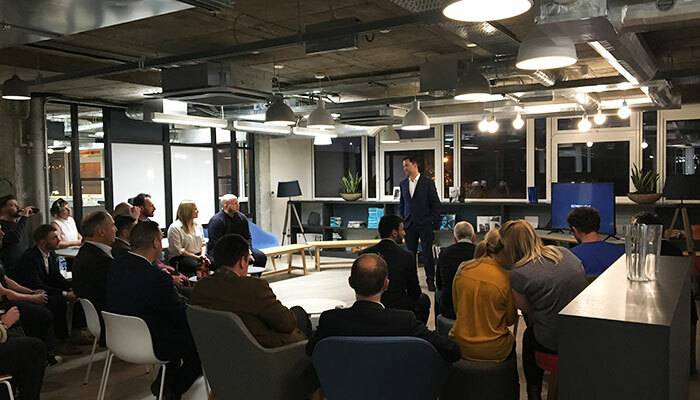 Last night (Wednesday 4th October) we were delighted to host our second Digital Platform in conjunction with Big Partnership at Clockwise Offices in Glasgow. 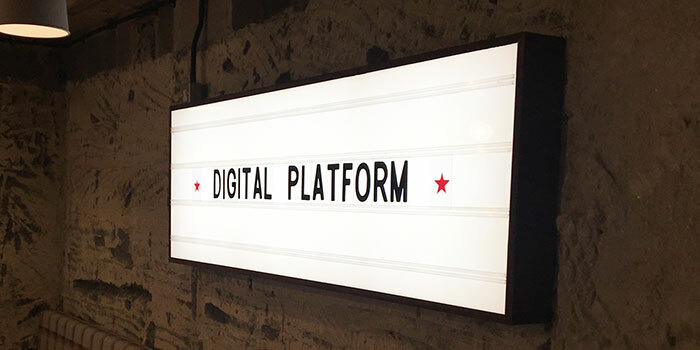 Digital Platform is a community meetup, bringing together some of Scotland’s finest digital and tech talent to discuss the latest technological innovations affecting the sector. Our theme for this month was Voice Technology, and we welcomed special guest speaker Andy Bruce, Digital Planner for Screenmedia. The brand are currently at the forefront of human-centred design and technology. 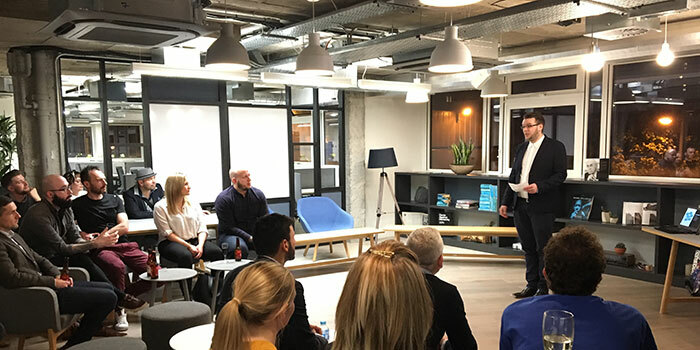 After networking and drinks, Colin McNab, Client Services Director at Big Partnership gave an introduction before passing over to Andy for the main event. 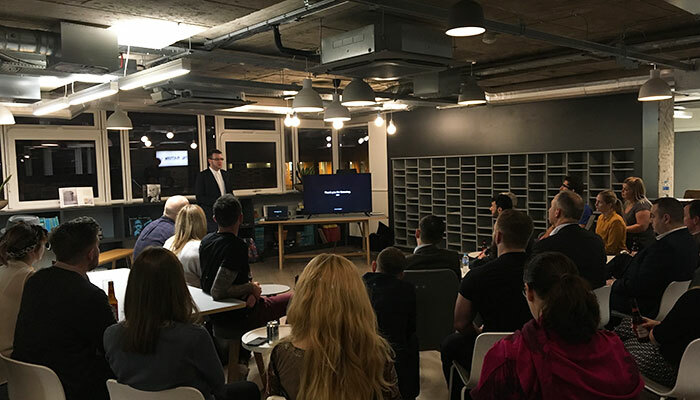 After a quick show of hands around the room establishing who already used voice devices such as Amazon Echo, Andy revealed the staggering fact that an estimated 20 million of them have already been sold worldwide. This figure is set to rise and rise as we move into an AI-first world where devices have more human interfaces. The next five years are set to bring significant developments, including presence detection, the ability for devices to distinguish between different people and state maintenance where devices can better remember previous conversations. 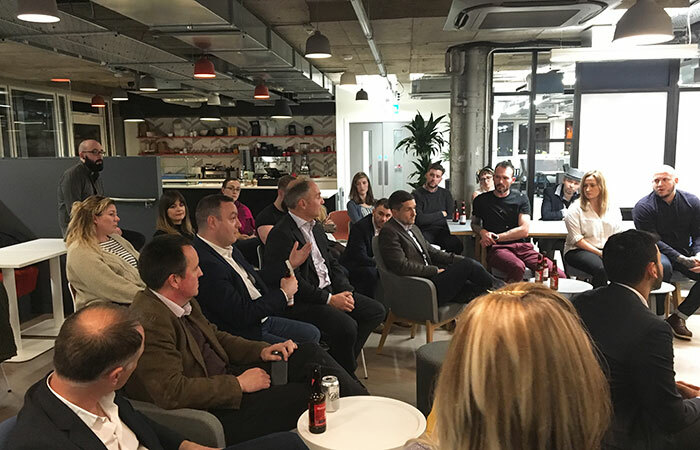 Voice Tech was definitely a hot topic for our audience, and there was lively discussion afterwards covering everything from freedom of information to the changing jobs landscape due to the need for linguistics and content experts. Thanks to Andy and the team at Screenmedia for their insightful presentation, and to Colin McNab for hosting. Next month we’ll be talking cyber security and we’ve already got some great speakers lined up! Follow us over on Facebook where we’ll be announcing the details shortly.